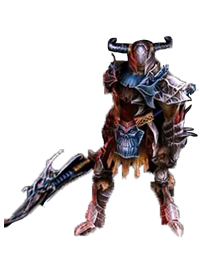 A3 a Massive Multi-player Online Role Playing Game, played by more than 4 millions gamers worldwide. It is a premium RPG that promises an impressive gaming experience with high quality visual, audio and graphics. 2 What is Role Playing? The user takes up a role of a character in a virtual world and builds the character with time. 3 I have applied on the site but not received the activation code. Where can i get it? Activation codes have been removed. The user can go to A3 India Website click on new user registration and get the new registration pin to your registered e-mail id. 4 I have used my pin number. Can i use it again to register a new account? Activation codes have been removed. The user can go to A3 India Website and click on new user registration to get the new registration pin to your registered e-mail id. 5 What is the system configuration required? You can check the system configuration requirements in the Download Page. 6 Do I need an internet connection to play? 7 Will A3 work on dial up and mobile connections? Yes, a min of 56k dial-up connection. But it can have some lags. 8 What is the best kind of internet connection? It depends on the latency of your ISP (Internet Service Provider) and the speed of your connection. 9 Can use the same id in home and cyber cafes...etc? Yes, but not at the same time. 10 Can the same userid more than one place at the same time? 11 Is my forum id and a3 id the same? 12 Where can i change my password? You can reset your password by using the Service Panel of A3 India. 13 Where can i change my forgotten password? You can reset your password by using the Service Panel of A3 India by clicking on “forgot password option"
14 Can I use special characters in my user ID and password? Only _ special character is allowed in the User ID. 15 Can i use two characters simultaneously?